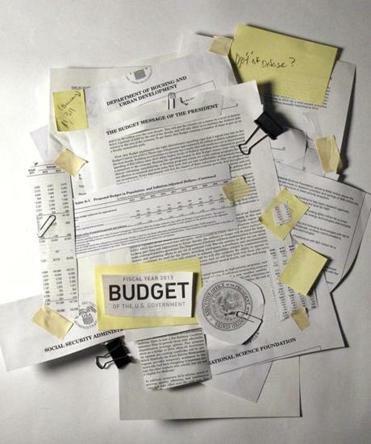 The so-called sequester is the latest fiasco as the country lurches from one budget crisis to the next. It would force government agencies to cut the biggest, most visible items in the budget, like the size of the Army. It would also cut long-term investments in people and research — canceling summer internships, new student hires, and training programs for federal employees. But the sequester won’t do anything to attack the real waste and inefficiency in government programs. That’s because the national budget process has become completely dysfunctional. The executive branch undergoes an annual farce in which government officials prepare detailed estimates of how much it will cost to run their organizations. Congress ignores most of this effort, and instead, tapes together budgets based on the previous year’s spending. Federal agencies also conduct an elaborate process to evaluate how well they are performing. But Congress provides money almost regardless of the evaluation. To get around budget caps, which are supposed to limit the amount of spending each year, Congress uses a number of tricks. For example, it has appropriated trillions for the wars in Iraq and Afghanistan in more than 30 “emergency” supplemental funding bills, even though this mechanism is supposed to be used for events like Hurricane Sandy. Worst of all, it’s impossible to keep track of what our tax revenue really buys. Federal accounting systems provide no management information and are unsuited to make decisions based on efficiency. Most agency budgets are simply long itemized lists of salaries and expenses. You can drill down to the cost of a pencil, but there is no mechanism for calculating costs by the type of service delivered, such as the cost of processing veterans’ benefits. The lack of a functional budget and absence of financial information has lowered the quality and increased the cost of federal government services almost across the board. Federal agencies operate in a fog of uncertainty, unsure how much money they will have for next year — or even next month. This short-termism also plays right into the hands of private contractors. Government agencies don’t have the leverage to negotiate long-term deals, so they rush to disburse unspent money in the last two weeks of the year. The interruptions in funding delay routine maintenance for roads, buildings, and equipment. They undermine employee morale, retention, hiring, and training. Congress should put aside its bitter squabbling over taxes and spending, and focus on three concrete steps to get better control over national spending. These steps are already standard practice in many state and local governments. First Congress should adopt biennial budgeting — already used in several states and in the US Department of Veterans Affairs. The VA argued successfully that it was impossible to manage hospitals and care for the wounded amid constant uncertainty about funding. Thousands of government programs — from National Parks to weather forecasting — are in a similar fix. Extending the budget cycle to two years and allowing agencies more leeway to manage resources would mean more efficient spending and less time and effort devoted to the annual budget cycle. To make this stick, Congress would need to restrict emergency funding to real emergencies and limit the number of continuing resolutions. Second, there should be more transparency over expenses, costs, and overheads. This means a better budgeting framework, including activity-based budgeting and capital budgeting. Nowhere is this reform more important than in the Pentagon, where former Secretary Robert Gates estimated that 30 percent of the budget is consumed by overhead costs. With these overheads buried among thousands of individual line-item expenditures, the current system makes it impossible for the department to separate the fat from the bone. Third, the congressional budget process, which has not been fundamentally changed in nearly 40 years, should be restructured and simplified. The current system is wildly complex, with dozens of committees and subcommittees overlapping and fighting over turf. The status quo makes it easy for lobbyists and special interest groups to influence practically every decision. We got into this budgetary mess in part because of the seemingly limitless ability to raise federal debt. That made it easier to open the federal checkbook than to figure out how to get better value for the dollars we already spend. Instead of hacking away at the budget with a chainsaw, it’s time to focus on the unglamorous business of budget and accounting reform. Linda J. Bilmes is a professor of public policy at the Harvard Kennedy School and a former assistant secretary and chief financial officer of the US Department of Commerce.